'Gum Shields / Sports Guards / Mouth Guards' have a variety of names but all aim to protect the teeth and surrounding areas whilst contact sport activities are taken place. 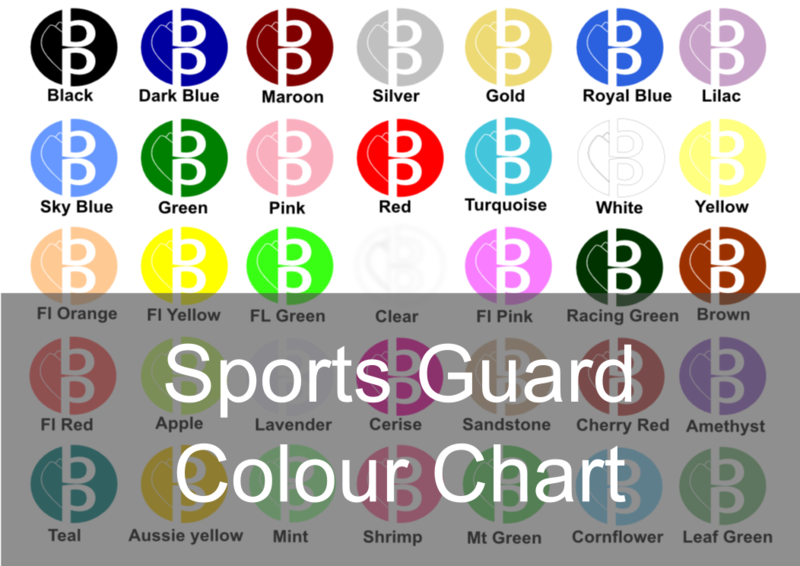 It's important a 'Dental Professional' assess, examines and prescribes a 'Custom Made Sports Guard' which comes in a variety of colours, designs, patterns and personal customization of names and logos for patients to choose from. Sports shops or Chemists do sell a version of a 'Sports Guard' called boil and bite. Although being cheap in price, they tend to be less accurate and will reduce protection of the teeth and surrounding areas due to the poor fit of not being 'Custom Made' to the individual. If you ever get hit in the face during a contact sport, the impact could damage the teeth and surrounding areas and can also cause the jaw to be broken, which could lead onto a short concussion due to shock of the impact. With a 'Custom Made Sports Guard' it fits securely, accurately and comfortably to the individual and locks and stabilises the jaws together to absorb the impact and balances the masticatory muscles too minimise movement and restriction in breathing and speaking. All 'Sports Guards / Gum Shields' are at a 5mm thickness and is safely locked into the bite to aid mandibular stabilisation whilst the patients activity is taken place with our high impact absorbing polymer. The comfort is obtained via our polished and rolled peripheral edge with precise gingival, fissure and tooth adaptation that allows for a secure retentive and functional 'Custom Made Sports Guard'. All gum shields are at a 5mm thickness and are pressure formed under 4.5 psi bars of pressure and constructed on the maxillary arch. All peripheral edges are rolled and the gum shields and are locked into the lower arch in centric relation. All gum shields are heat treated to maximise the impact absorption properties. Protects the teeth and surrounding areas by absorbing the impact. Reduces the risks of fractures to the jaws, teeth and surrounding areas and prevents concussions. Fits accurately, securely and comfortably for function. Custom made and unique to the individual with a variety of colours, designs etc. Our new range of 'Sport Guards' have a reinforced anterior section that absorbs impact with 3 different grades of hardnesses integrated into one 5mm 'Custom Made Sports Guard'. The layers consist of a 2mm clear top layer with a shore hardness of 80A, anterior clear section (V Shape) 3mm with a shore hardness of 92a and the surrounding areas in 3mm with colours of blue, red or black.